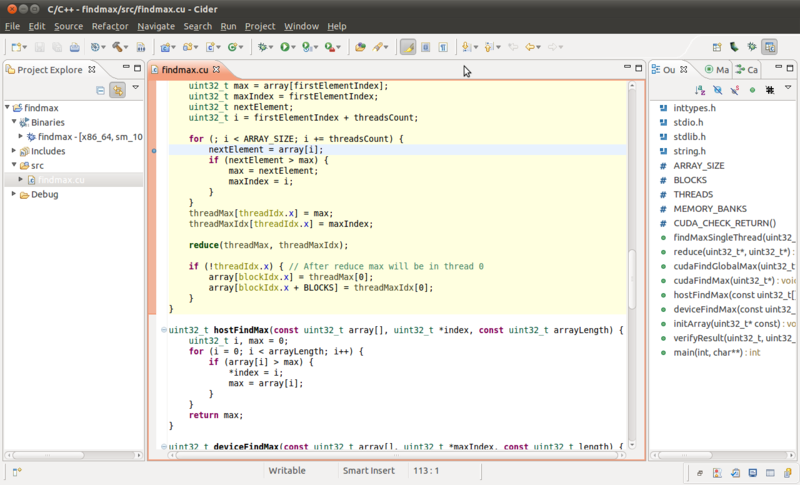 NVIDIA® Nsight™ Eclipse Edition is a full-featured IDE powered by the Eclipse platform that provides an all-in-one integrated environment to edit, build, debug and profile CUDA-C applications. 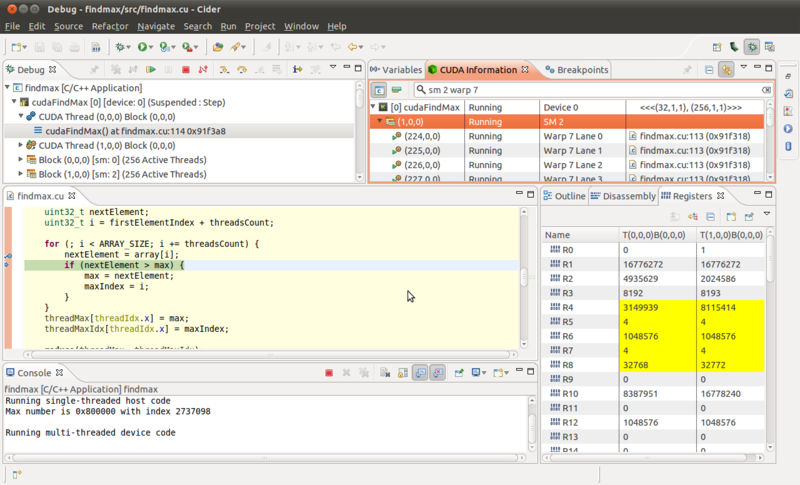 Nsight Eclipse Edition supports a rich set of commercial and free plugins. 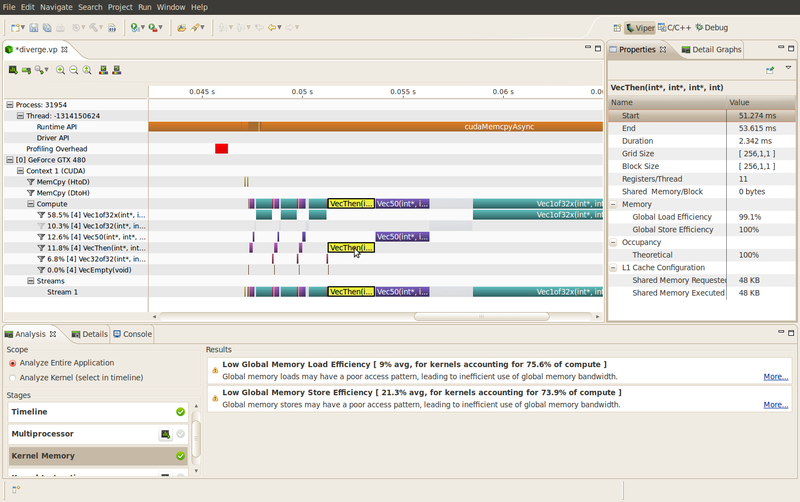 Nsight Eclipse Edition is part of the CUDA Toolkit Installer for Linux and Mac. The latest version of NVIDIA Nsight Eclipse Edition with support for CUDA C/C++ and is supported on MAC and Linux platforms. Just install the CUDA Toolkit and run 'nsight' on the command line.